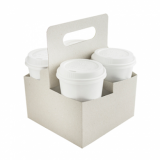 Our ecological 2 cup handled trays are a highly practical accessory your customer will be glad to have. A safe solution, ideal for coffee-drinkers with more friends than free hands, or for allowing your customers to safely carry multiple hot drinks at once. Ideal for all single or double wall hot cups. 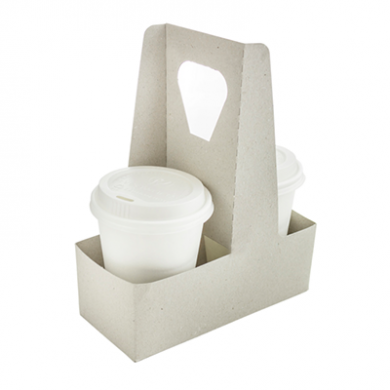 These disposable trays are ecologically sound and are suitable for recycling.